When Heroes was cancelled in 2010, many viewers breathed a collective sigh of relief. Although the series got off to a promising start in its first season, after the 2007-2008 writers strike and other issues, the show lost its appeal and never fully recovered (despite some improvements in Season 4). Well, it feels good to say that five years later, thanks to showrunner Tim Kring and the rest of the creative crew, Heroes Reborn has brought back the magic from that first season… for the most part. Four years after Claire Bennett revealed the existence of Evos (what people with special abilities are now being called) to the public, an explosion was set off at an Evo peace summit that wiped out all of Odessa, Texas. Heroes Reborn picks up a year later, and after the government blamed Evos for the Odessa tragedy, they are being hunted down and forced into hiding. Because the miniseries is a relaunch of sorts, most of the characters seen in the premiere are new players. Teenager Tommy Clarke (Robbie Kay) is trying to keep his strange power in check in a new town while also dealing with his crush on classmate Emily Duval (Gatlin Green). Luke and Joanne Collins (Zachary Levi and Judith Shekoni, respectively) are traveling across the country killing Evos as revenge for losing their son at Odessa. War hero Carlos Gutierrez (Ryan Guzman) has returned home and is adjusting back into civilian life. Meanwhile in Japan, Miko Otomo (Kiki Sukezane) is on a mission to find her missing father that will take her to an unusual place. There are also a few familiar faces that longtime Heroes fans will enjoy seeing. Chief among them is Noah Bennett (Jack Coleman), who’s also been living in hiding since the Odessa tragedy and his daughter Claire’s death. However, when conspiracy theorist Quentin Frady (Henry Zebrowski) tracks Noah down, he decides to investigate the true circumstances behind the attack. Side note: check out the online prelude series Dark Matters to learn about Quentin’s backstory. I won’t spoil the other established characters who appear (without much fanfare, I might add), but keep an eye out for a person from the early Heroes years who NBC deliberately decided not to advertise… at least directly. 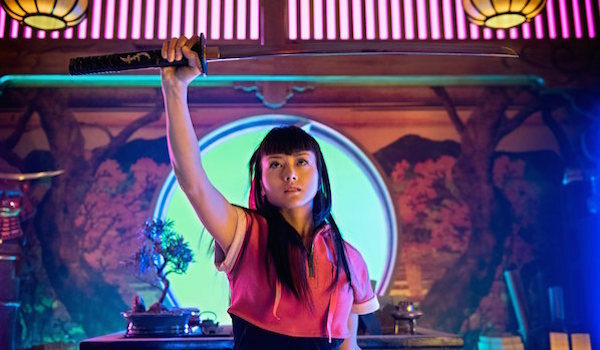 What’s striking about Heroes Reborn is how similar it is to the alternate future depicted in the original series. Despite everything the protagonists did to save the world in the first four seasons, the world still ended up being a terrible place for Evos. The “superhumans being hunted” trope (as seen in many X-Men stories) results in a much darker tone, but for Heroes Reborn it works. Yes, there are grander dangers on the way (both manmade and natural), but it’s largely an introspective on characters dealing with a world dramatically altered. However, here’s hoping that some of the lighter moments that were sprinkled throughout Heroes can find their way to its successor. After all, there’s only so much dreariness one can take. It is a good move on NBC’s part to air the first two episodes back-to-back. The first hour (“Brave New World”) is a slow trudge as it sets the stage just like a normal pilot does, but things pick up in the second hour (“Odessa”) and will leave you wanting more by the end. As should be the case with any good reboot/relaunch, Heroes Reborn is accessible enough for new viewers. There’s no need to go through a Heroes 101 crash course to understand everything that’s going on. However, newcomers to this world may find it difficult to appreciate the full importance of callbacks and references to the first series, especially concerning Noah’s journey. The show really shines when it’s focusing on the newcomers, since new and veteran viewers are learning about them at the same time. Currently none of the new people stand out in the same way that characters like Hiro Nakamura (who will be appearing later in the series) or Peter Petrelli did in Heroes, but there’s still plenty of time to prove themselves and shine. When Heroes was airing, the superhero genre barely had a presence on television, but Heroes Reborn now finds itself as just one of an increasing crowd, from DC’s Arrow and The Flash to Marvel’s Agents of S.H.I.E.L.D. Fortunately, it does just enough to distinguish itself from its competitors and harken back to days of Heroes Season 1. In other words, don’t look at it as a superhero show, but as a drama that just happens to feature people with powers dealing with a world that doesn’t understand them. There are hints of bigger threats on the horizon, but these don’t detract from the personal struggles the main characters endure. This occasionally delves into melodramatic territory, but it’s a refreshing change of pace from standard costumed crimefighting or “freak of the week” adventures. We’re currently in a period where it seems like almost every popular show from the past is being revisited for nostalgia’s sake. 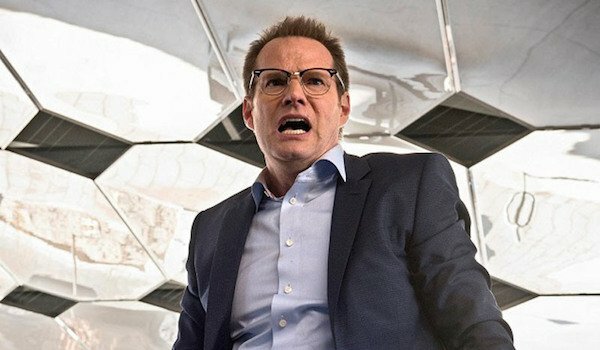 Fortunately, Heroes Reborn is one of the few revivals that has benefited from a much-needed hiatus and is giving viewers a story that’s actually worth telling. It’s a fitting sequel for fans who enjoyed the original series and a unique offering for new viewers who are looking to add some superpowered drama to their TV schedule. Admittedly, the show will need to up its game in the coming weeks to provide more enticing material for newcomers and start intertwining these different narratives, but for now, things are off to a strong start. Heroes Reborn will premiere Thursday, September 24 at 8 p.m. EST on NBC.